A new generational bank located along Okigwe road in Imo state, known as Stanbic IBTC Bank PLC has been dragged to the Owerri Judicial High Court over disservice, unprofessionalism and mismanagement of client's transactional fund. In a suit number: HOW/626/2011, the claimant whose name is yet to be disclosed by the Owerri Judicial Division is said to have sued the bank over a transaction that held between the month of February 2011, where he lost the huge sum of $5,640,232 (Five million, six hundred and fourty thousand, two hundred and thirty two dollars). According to our reliable source, the client who in his statement of claim submitted to the honourable court in Owerri, had in the same month of February, 2011 contacted the customer care of Stanbic IBTC bank over fund transfer from a business transaction with his client, whom the bank assured him of safe transfer without hiccups. “When the said amount was to be transferred, the bank gave an unequivocal assurance that our claimant should go ahead and instruct his business associate to transfer the first tranche of the entire being;47,232 US dollars which the claimant did. It was the advice of the bank to him that led to the transfer, and there was never a time they told the claimant in their confirmation letter that the account to which the money will be transferred has been closed. “After the fund had been transferred under the instruction of the bank, it could be disclosed that the bank gave another call for reopening of the clients closed account (which they admitted was done in error at the branch of domicile) and the call was said to be coming when the client had asked to know the financial status of his account, by then he had been lured to transfer the fund,” our source averred. 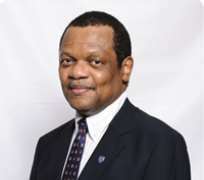 Furthermore, our source hinted that for a new generational bank like Stanbic IBTC PLC to close a client's domiciliary account, having up to 40 US dollars without his consent or by any criminal involvement is uncalled for, unconscionable, unprofessional and a turn off to prospective customers. Adding that the said unauthorized closure of account amounts to conversion, (having admitted to have moved the client deposit into their Banks ledger account) and huge damages to the clients corporate image before his partners. Our source further stressed that the Bank had since fired their staff (s) whose negligence and unprofessional conduct caused the claimant to loose his source livelihood. However, another source also added that since it has become so imperative that a bank like Stanbic IBTC PLC could not protect their customer's values, “it shows that the bank has failed as one of those admirable financial institutions to be noted based on standard and excellent banking”.